Each project has what’s known as the scope of work required to do the job. Your Client can explain the concept of what they want, and this is the Scope of Work. The Scope of work that Zawro needs from your Client is what the Client wants completed. Your Client may not know exactly how to do it, but they will know what they want. Your job is to get the concept of what your Client wants, and from the basis of that, that is the Scope of Work that Zawro needs. To get the Scope of Work, you can do it yourself, or use Zawro’s One Hot Method, and let Zawro get the Scope of Work for you. This is the easiest and quickest option. You will call Zawro on Skype, Line or Viber, and Zawro will talk to your Client on your behalf. 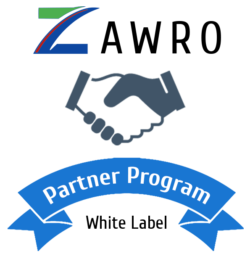 This is a white label Partner Program, so we act as your in-house IT Department. Zawro will talk to your Client and get the concept from them. Once Zawro have got the concept of what your Client wants, we can end the call, and that’s the complete work of getting the Scope of Work. Next step is the process of Zawro creating a detailed quote from the Scope of Work.